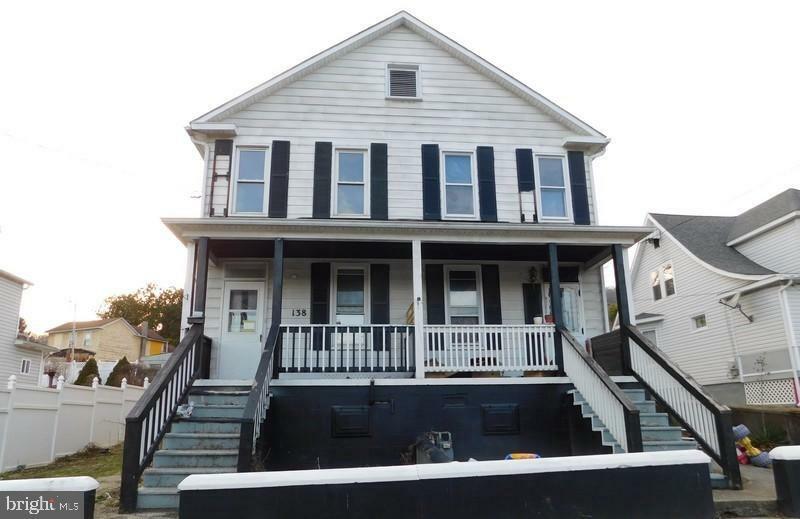 All Westernport homes currently listed for sale in Westernport as of 04/23/2019 are shown below. You can change the search criteria at any time by pressing the 'Change Search' button below. If you have any questions or you would like more information about any Westernport homes for sale or other Westernport real estate, please contact us and one of our knowledgeable Westernport REALTORS® would be pleased to assist you. "BEAUTIFUL BRICK SPLIT LEVEL HOME IN NEARLY MINT CONDITION - NICE CARPET OVER HW FLRS - FP - NICE KIT & DIN AREAS - LOWER LEVEL FAM FM - BEAUTIFUL IN-GROUND HEATED POOL WITH POOL HOUSE & 1/2 BATH - 1.5 STORY WORKSHOP BARN THAT HAS ELECTRIC & HEAT - VERY NICE OUTSIDE ENTERTAINING AREAS - ADDITIONAL STORAGE BUILDING - 2 CAR GARAGE & SO MUCH MORE"
"Recently remodeled 3 bed 2 full bath raised rancher on 1.34 acres just outside of the city. Huge and I mean HUGE garage with space for 4+ vehicles as well as a shop/woodworking area to the side. Full finished basement for all of your entertaining needs. 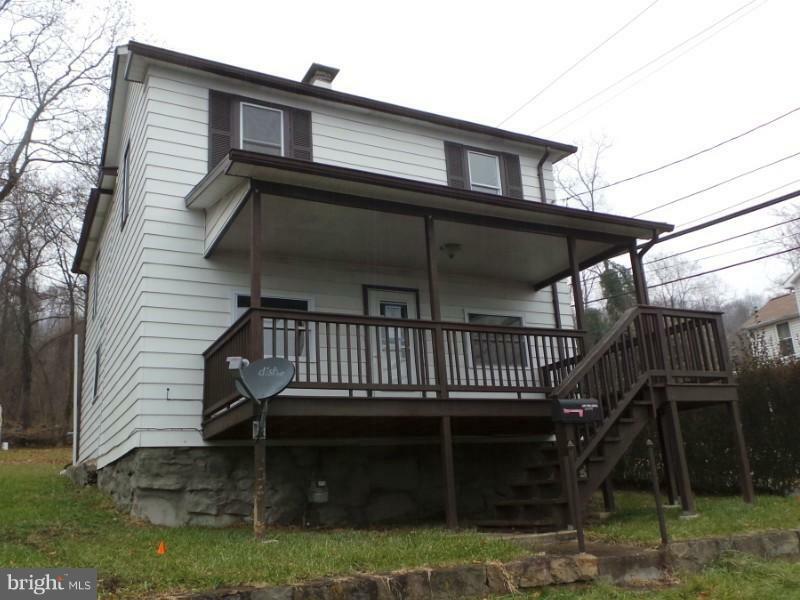 Front porch, side deck, and covered rear porch. 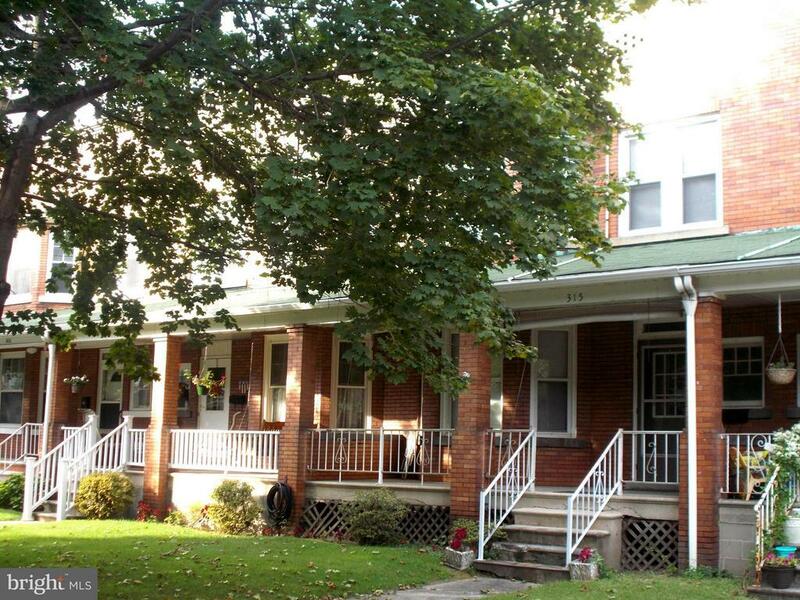 Long paved driveway with ample parking!" "Even more updates! This one was inspected and repairs were made accordingly including a permanent heat source to the second floor, new bathroom sink and vanity, and hot water tank upgrades. This is a motivated seller. 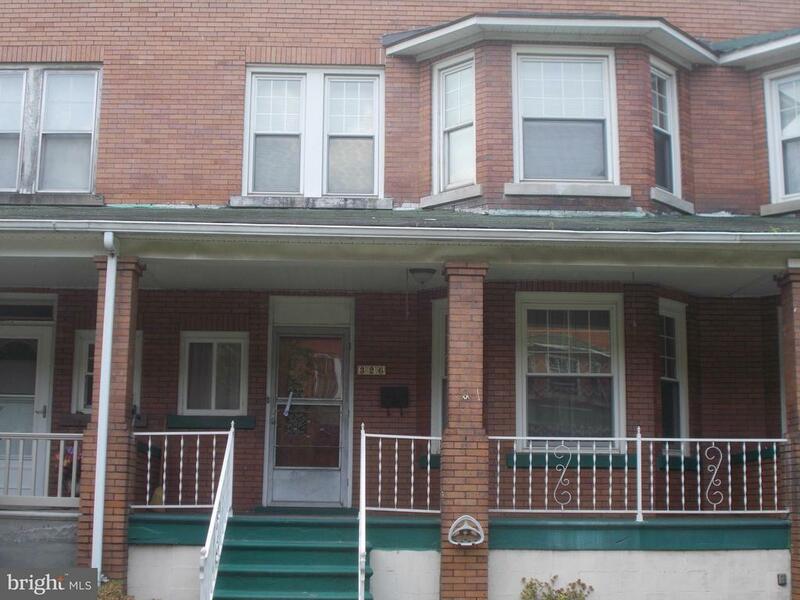 Renovated and opened, this 2/3 bedroom home is large and full of space. With bedrooms on the second floor, the main floor has been opened to offer and expanded family room and den area. 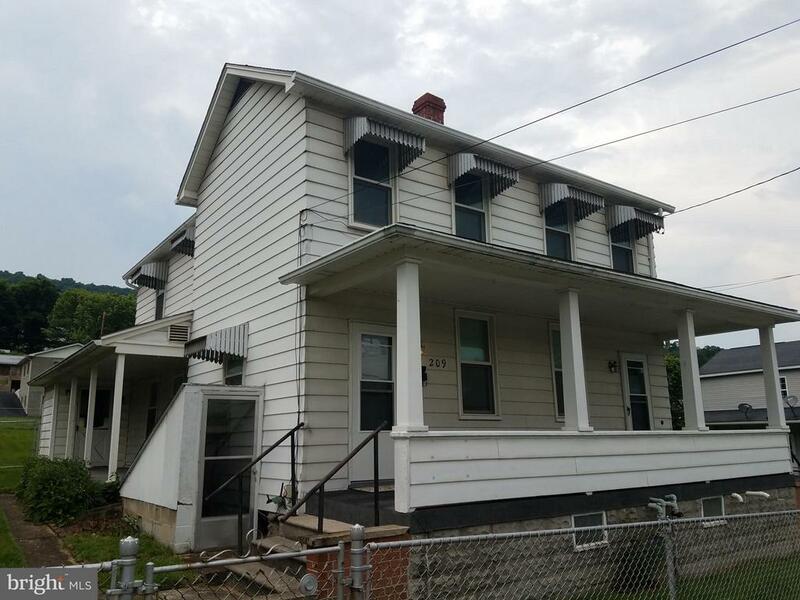 Large kitchen with plenty of cabinets and floor space that opens to an enclosed porch and a large,fully fenced back yard. 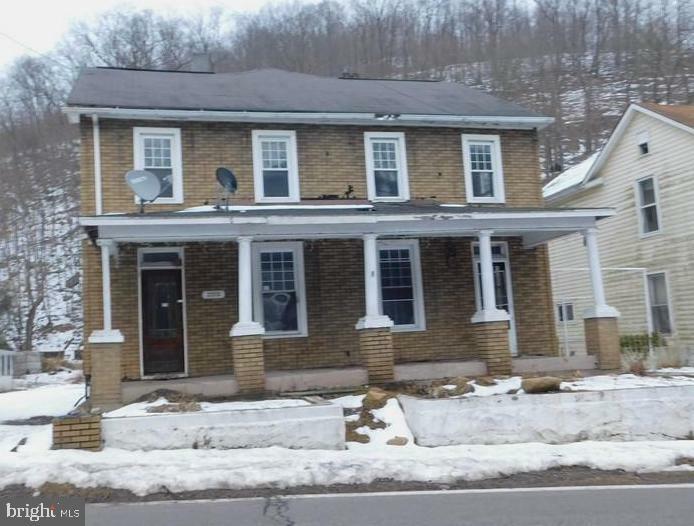 Hardwood floors throughout this home with plenty of charm. Don't miss the upstairs deck!" 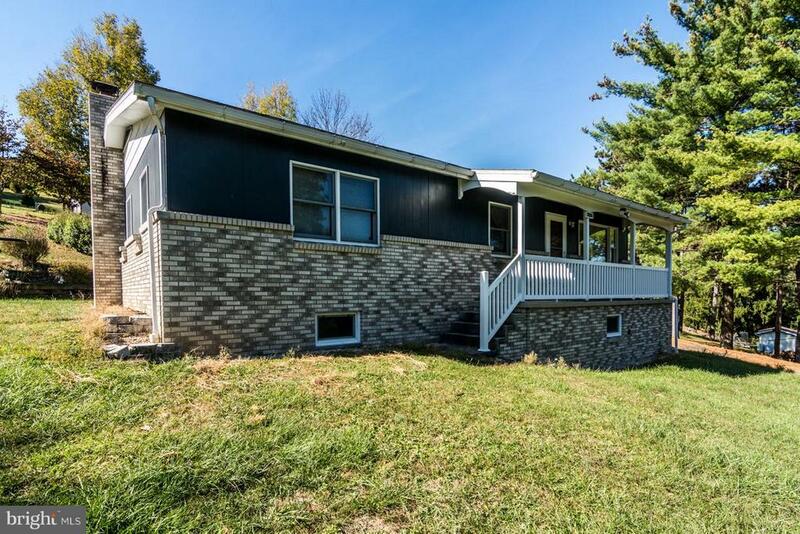 "REDUCED - Completely remodeled in 2015 (including at that time: furnace, plumbing, wiring, flooring, siding, gutters, downspouts, kitchen, roofing, and more), this property continues to show the merits of that work. Low maintenance exterior - Four bedrooms - Corner lot - Sold as-is - Eligible for FHA 203b financing"
"STORAGE - STORAGE & MORE STORAGE BUILDINGS - WORK/SHOPS - GARAGE ALL WITH ELECTRIC - 1976 MOBILE HOME ON BLOCK FOUNDATION - PARTIAL BSMT - LG ADDITION FAM RM - 100X100 CORNER - OFF STREET PARKING FOR MANY CARS - GAS FORCED AIR HEAT - COME TAKE A LOOK"
"Top Dog on the Block !! Don't miss this one. Beautiful woodwork throughout. 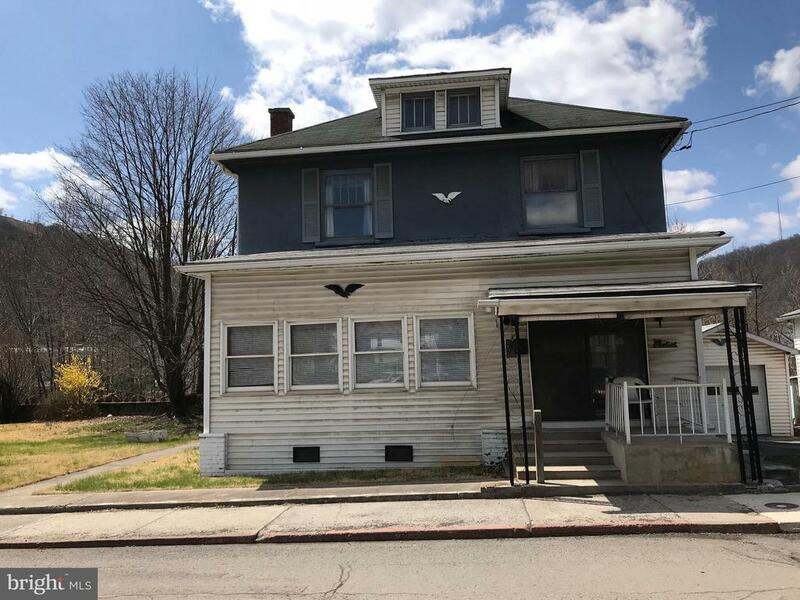 Easy floor plan flow from large foyer to living room with plenty of window for light than to dinning room off renovated kitchen and enclosed rear porch and half bath.Second floor by wide staircase to sitting area with skylight adjoining 4 large bedrooms and full bath. Furniture does not convey"
"Large duplex. Could rent one have for enough to pay full mortgage or remodeled for that large needed/desired home. 3 bedrooms bath and half on each side.Living room dining room and kitchen. Beautiful stained wood work large rooms Unfinished basement for storage and utilities. Front and rear porch.Nice size back yard. Street parking"
"More pictures to come.Estate is being settled some furniture could convey if available. Move in ready good condition. Brick home with low maintenance small fenced rear yard. Beautiful wood work 4 large bedrooms with large foyer entrance to living room separate dining room and kitchen area." 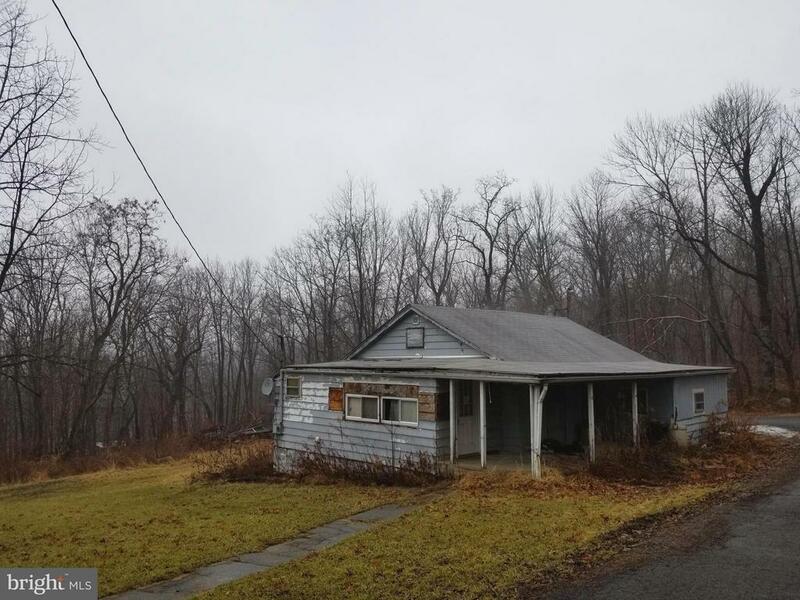 "This duplex offers 3 bed 1 bath each side large back yard with possibility of off street parking live in 1 side and let the other pay your mortgage"
"Extra adjacent lot conveys (Tax ID 0108004870). Easy to show. 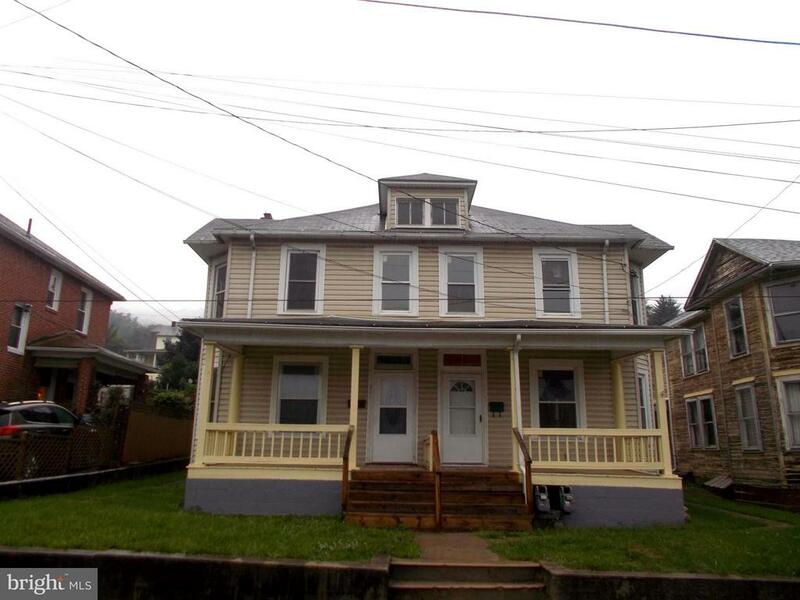 4 bedrooms, 2 full baths, sep. DR, enclosed front porch, 2 story addition in rear, eat-in kitchen, detached 1 car garage. Beautiful water view! Walk-up attic. Furnace and hot water tank approx. 4 yrs old. Spouting updates.Great investor opportunity! Property is in a flood plain." 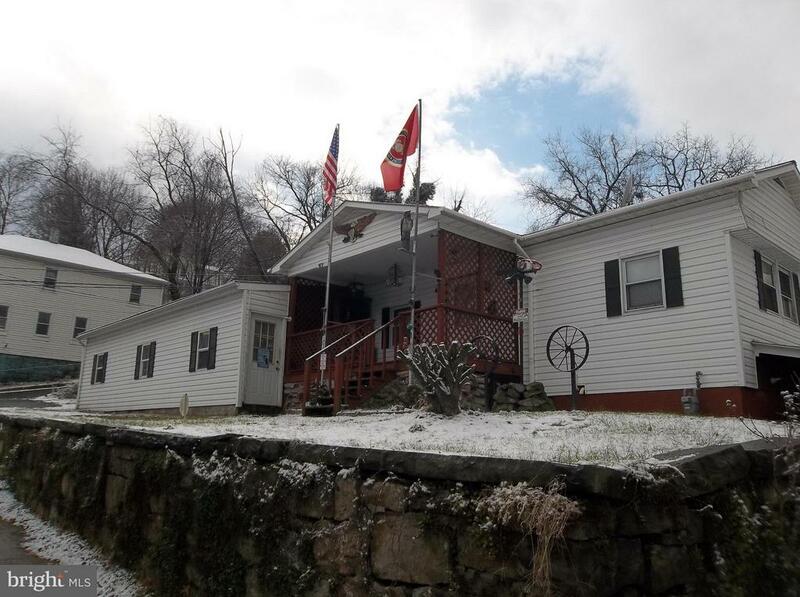 "Lots of room for everyone this large home may have been a duplex at one time and now is wide open. 3000+ sq ft waiting for you to decide how to use it on a level .51 ac lot back to the woods. Large rooms 2 stairways. new windows. 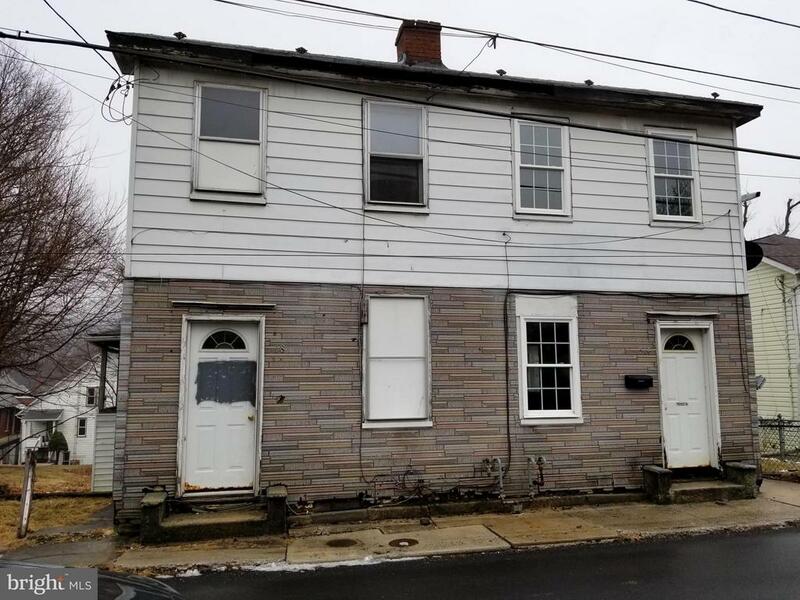 come take a look"
"Older 2 story home in a nice neighborhood with a nice back yard...front and rear porches, wood floors...large rooms...home warranty included"
"Bank owned bargain! Great home with lots of potentials. 2 bedrooms - 1 full bath. 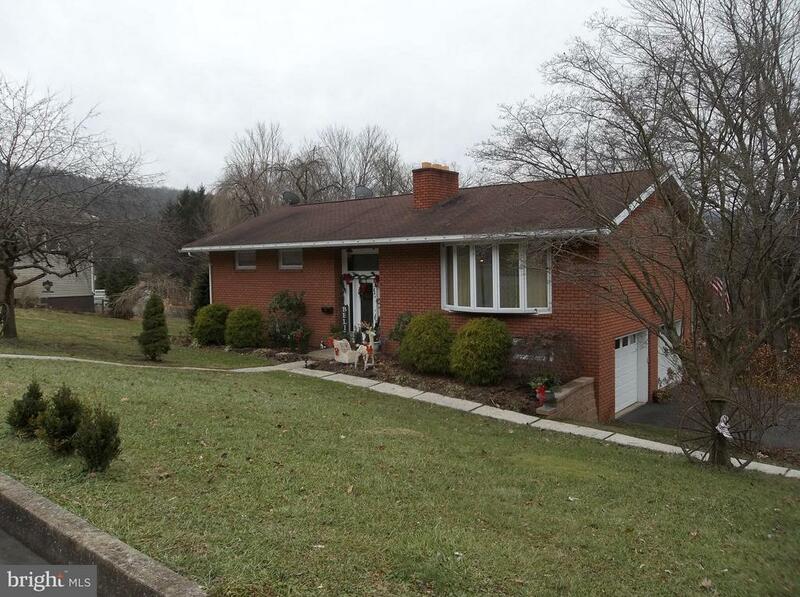 Nice lot at the end of the street offers great privacy, yet close to everything. PRIVATE FINANCING - $2K DOWN $167.51 PER MO BASED N A YEAR 10 PAYMENT SCHEDULE." 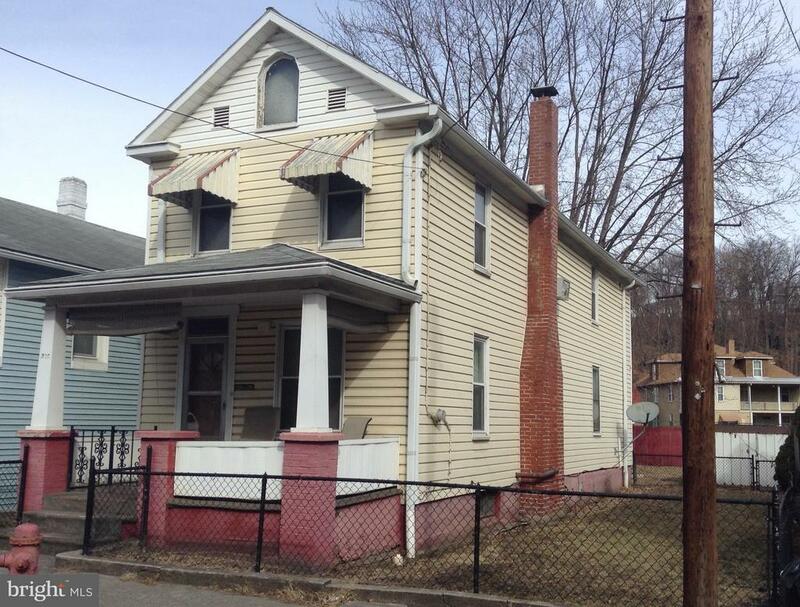 "2 Homes for one bargain price - 316 & 318! Price includes the entire structure. Needs some work but offers a nice lot and great oportunity. Come take a look Sold as-is,"